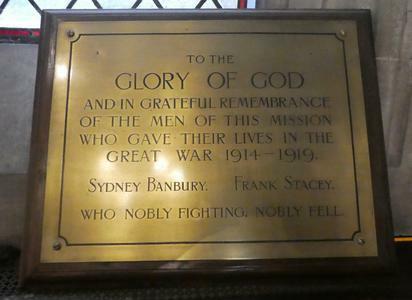 Wall-mounted brass plaque with wooden backboard. Black incised lettering. Thin black border around edge. 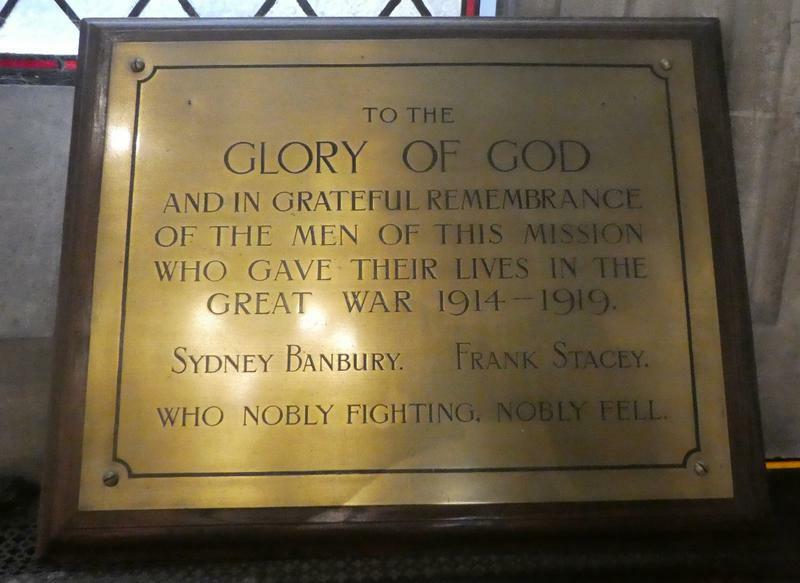 TO THE/ GLORY OF GOD/ AND IN GRATEFUL REMEMBERANCE/ OF THE MEN OF THIS MISSION/ WHO GAVE THEIR LIVES IN THE/ GREAT WAR 1914-1919/ (Names)/ WHO NOBLY FIGHTING, NOBLY FELL.